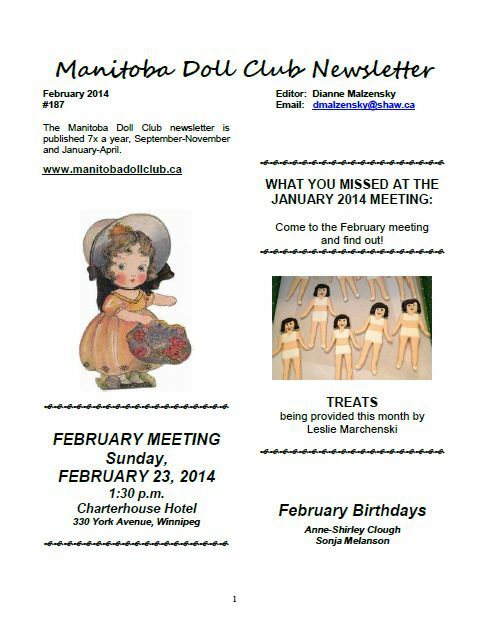 Here at the Manitoba Doll Club, from September through to April, you get a monthly newsletter, filled with club news, and other fun doll facts, so if you’re not already a member and receiving your monthly newsletter, be sure to sign up soon to join in on the fun! All Members, to view the full newsletter, and access the archive, please go here! Don’t forget, to access this area, you’ll need the password you received along with your membership! For anyone who isn’t a member yet, here’s a sample of this month’s newsletter for you to view.